How do societies age successfully without ageism stigmas? If you wonder why a focus on human behavior and the importance of elders might be important, consider this: The world is in the midst of a unique and irreversible process of demographic transition that will result in a growing population of aging people everywhere. With fertility rates declining significantly in the millennial generation and the increased health and well-being in our elderly population, the proportion of people ages 60 and above is increasingly outpacing births. This challenge isn’t going to go away either. 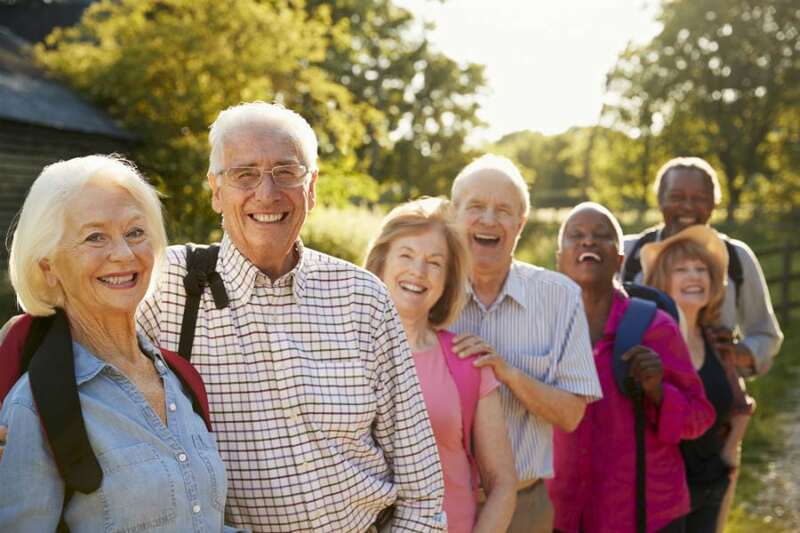 According to the United Nations, the global population of people over 60 is expected to rise from just over 900 million in 2015 to 1.4 billion by 2030 and 2.1 billion by 2050, when there will be roughly the same number of people over 60 as there are children under 16. Sadly, until now, no one has asked the question, "How do societies age successfully?" Instead, this rapid aging of our world's populations is often presented as a disaster or problem, with headlines fearing the upcoming "silver tsunami" or the "aging time bomb." Labeled the invisible generation, “the elderly among us are often regarded as feeble-minded and lacking in the ability to contribute to society in a meaningful way." This ageist attitude has risked robbing senior citizens of their self-worth, leaving them the victims of prejudice and disrespect in an ever-growing, anti-aging campaign against our inevitable path of living our whole life fully. Compassion, courtesy, and respect have gone by the wayside. The result of this isn’t just damning for the aging, which is all of us; it is an inevitable burden on society’s collective psyche for not one of us can be whole if we all aren’t. Recommended Read: "Learning to actually 'live' before I die"
United Nations Secretary-General Ban Ki-moon stated that “ending ageism and securing the human rights of older persons is an ethical and practical imperative.” Historically, different cultures have had different attitudes and practices around aging and death, and these cultural perspectives can have a huge effect on our experience of getting older. Yet today we find our contemporary modern world full of people who are scared to death of the impending darkness of their aging years. So, instead of venerating our elders and valuing them for their lived wisdom, too many of us cast them aside as if they're no longer of use. In reality, they are a reminder that life is precious and our time is short. Our elders are important to all of us for so many reasons. Aging isn’t just a biological process. It’s also very much a cultural one. Our elders are carriers of community wisdom, knowledge, ways and traditions. They strive to show by example, by living their lives according to deeply ingrained principles, values, and teachings as taught to them by their elders from times gone by. In telling their stories, elders help us make sense of our experiences in the everyday life we live in. We need to remember that elders in our society can, and want to, make important contributions to the economy and well-being of families and communities through many activities well into their late 70s and beyond when we let them. Becoming an elder is not about age or growing old; it is an expression of a wise leader who has lived a full life and is capable of contributing greatly, in non-instrumental or ego-driven ways, to the whole of one’s community. These elders have undergone the process of transforming themselves and are thus more able to provide leadership that is transformational in a world undergoing much change. These elder leaders have contemplated the meaning of life, have been through the initiation of the midlife passage, and now deeply understand how life transcends the limiting notion of self. In this ascension to self-transcendence, these elders contribute to society in meaningful, inclusive ways that provide cultural guidance and wisdom to the youth, while helping adults initiate into a life greater than their own notion of prosperity and wealth. Why do I share all this with you? Because the world needs our elders today more than ever before. But not just elders who want to bring more analytical, linear thinking to an already over-rationalized world. Our world needs initiated elders who understand the role of community, of society, and of the power and importance of being the backbone and holding the container safe when our world is turning upside down—individually or collectively. Only initiated elders are the ones who know how to sit in council and listen to the words between the words—what are people saying but not doing, doing but not talking about or just unable to face in the light of current times. Our aging societies are not a problem to be solved. They are an opportunity for us to remember the important and necessary roles that our elders play in keeping the whole of our human container safe while the uninitiated youth rail against the confining structures of prior generations in pursuit of defining their own way forward.